Grab the Apple TV Remote and head to the bowling alley! Score strikes, spares, and turkeys. Take aim, add spin, and roll the ball just by rotating your arm. The Apple TV remote translates your movement into an accurate bowling simulation. I loved Wii Bowling and wanted to create an experience like that for the Apple TV. The Siri Remote isn’t quite like the Wii Remote, but it’s close enough that I was able to make this fun bowling game. Based on the popular Galaxy Bowl for Android and iOS, League Star combines the fun and physics from Galaxy Bowl with the real-life motion controls of the Wii. In a future update, I’m planning multiplayer modes and more content like unlockable balls, lanes, and new game types. Although the app store is still new, has no categories, and you have to know what to search for, I’m finding that the game is very popular and can’t wait to finish the next update. League Star Bowling is designed to be easy to control. But you’ll still need to master the nuances of spin control by twisting your wrist as you release the ball. 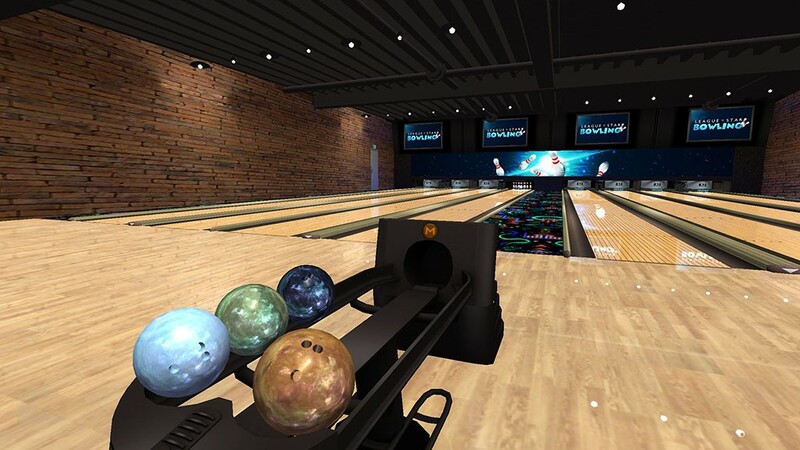 Depending the the direction and speed of the twist, spin will be added to ball which can really help racking up lots of strikes or picking up tricky spares. – Score well and your rank will increase. – Motion control. Roll, spin, and aim the ball using the motion of your arm. – Accurate physics and pin action. – Real life lane dimensions, pin and ball weights. – Designed for the Apple TV! Or search for “Bowling” on the Apple TV app store! 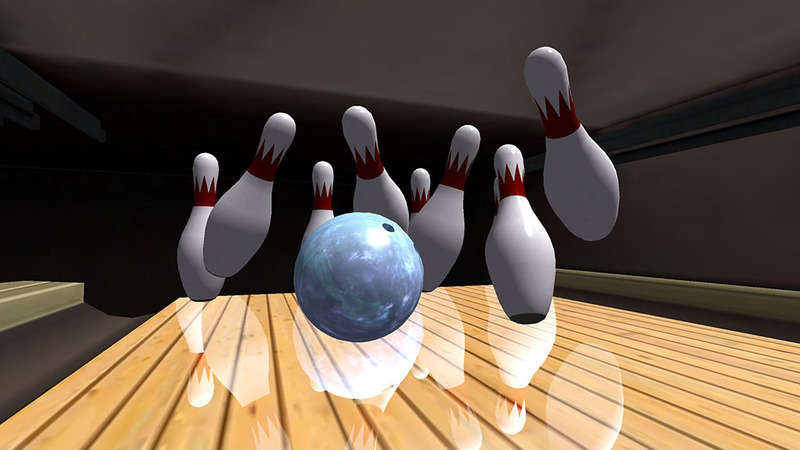 Apple TV bowling screen shot striking pins.